We are one of the leading Aluminium Sheet & Circle Manufacturers and Exporters, from India. When it comes to most reliable aluminum utensils and aluminum kitchen utensils then Subhash Metal Industries are counted on the top. We manufacture aluminum kitchen utensils which are highly durable. 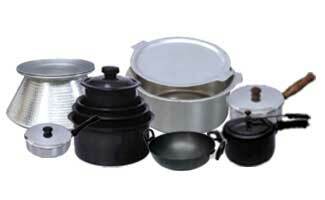 Moreover, our aluminum utensils and aluminum kitchen utensils are available in multi sizes and shapes. Our entire aluminum utensils maintain the superior quality of the food stuff. We proffer Aluminum Kitchen Utensils with us at rock bottom price.